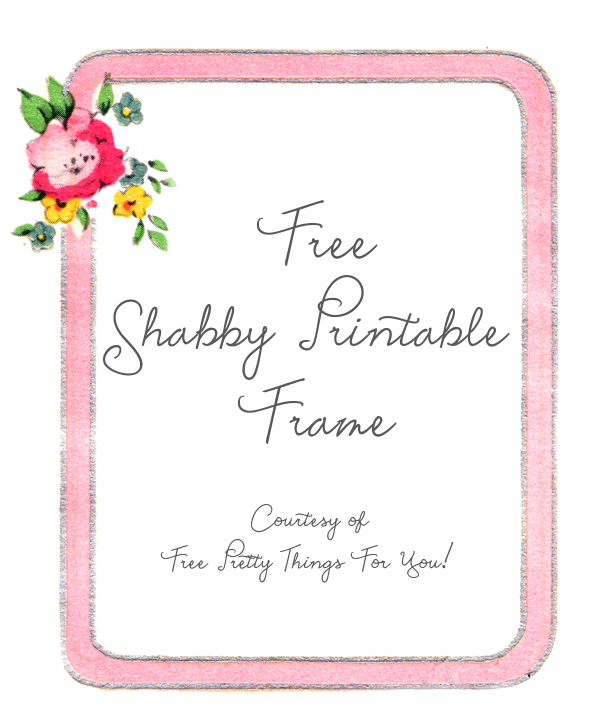 This shabby frame is so pretty in all its simplicity. When I first saw it, I knew it was going to be perfect for all kinds of projects! Especially DIY invitations. I love the soft pink hue and rounded corners with the sweetest vintage floral cluster on the top side. I could just see it adoring a pretty wedding or tea party tablescape! Hmm.. maybe i should turn it into a collection :) Maybe even into a web banner. The possibilities are endless! Remember, you could add your own text over at PicMonkey for free. Soo cute! Thanks so much sweetie! Thanks again for the fabulous freebie Keren! What is the name of the font you used on that freebie. Love it!